Shiro Samurai's Cosplay: Desucon 2013 - Problems solved and cosplay plans! I have now solved the how-to-travel-to-Desucon-and-back problem; I will seemingly travel with a group of con goers from Oulu and hey, in a motherfucking camping car to boot! <3 So much awesome! 8D I'm very happy about this!! Oh, and I kind of half-promised earlier that when I solve the travel problem I will reveal my Desucon cosplay plans. Here goes! I'm not much for shoujo manga but Fruits Basket is one of the few exceptions. It was a friend who got me to read it and while I found the first few volumes.. well.. boring.. until Kazuma appeared the story started for real. 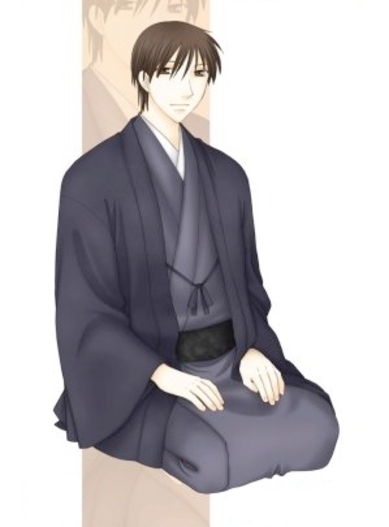 I've wanted to cosplay Kazuma for a while now (I can't find anyone who has cosplayed him by the way :S) and when Ri-kun said they could do Kyo -if I did Shishou- I was excited because hey, Kazuma is awesome and all but he just looks like a generic kimono dude and probably wouldn't be recognized without Kyo. :'( But it seems I will have a Kyo so AAAAAWWW YEEEAAAAA, this will be so much fun! Kenshin, you don't need more reasons to cosplay him than that he is AWESOME. 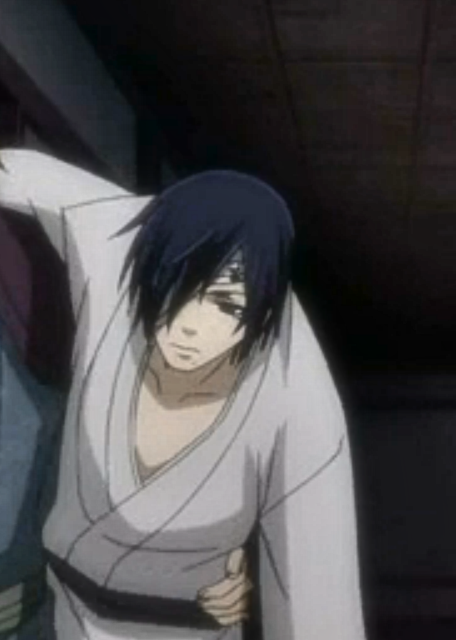 I will cosplay the Tsuiokuhen/Trust & Betrayal OVA version, aka when he was still a hitokiri. Yeah, it's the same one I debuted at Närcon Vinter last month. Kenshin was super comfortable to wear and fun so I can see myself cosplaying him a lot more in the future and the future means that the next stop is Desucon! I've been going back and forth on who to cosplay on Sunday the most but when I figured I could use Hakuouki Shinsengumi Kitan Saitou's wig... their hairstyles are super similar - hairtwins! I'd also get more use for my violet contacts if I did Rokuro so well, it got pretty set. Okay, while I admit I think his default outfit is more awesome I really don't have the confidence or body.. hahaha.. ha to pull that one off so I have to settle with the second (third?) best.. aka kimono!Rokuro seen during the later half of the anime. Chill cosplay except that I'll be half blind so why not? Also, eyewraps are boss and Rokuro is one of my top favorites in Brave 10 anyway. Sure the anime wasn't all that great but hey, I really enjoyed most of the characters! These plans are not 100% set yet, there's always the possibility I might change something but I feel pretty sure about these. Noi sun kaikki cossit on ihan awesome! :D hienoa että mekin päästään molemmat nyt tälläkertaa desuun conittaan:D! ASDGFHJUYRGGH! Sä löysit kyydin, I'm so happy! Now I have to/can start thinking of my cosplays too. I can't wait to know what you will cosplay!! 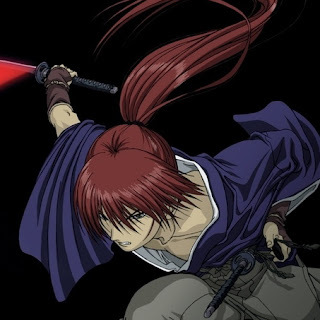 löysinpä sattumalta blogisi ja pakko kommentoida koska HUAAAAA hi5, itsellänikin on päämääränä tsuiokuhen-kenshin desuun! teen kaksi "versiota" (yksi- ja kaksiarpisen, haorin ja huivin kera) kun kaveri viittä vaille lupautui tomoeksi. Mä ajattelin tehä vaan sen yksiarpisen ilmaan haoria ja huivia. ^^ Tomoe, ihanaa!! Joo pitää yrittää bongata että sais kuvia yhdestään!